12 small foam stars – half are ‘win’ and rest are plain. 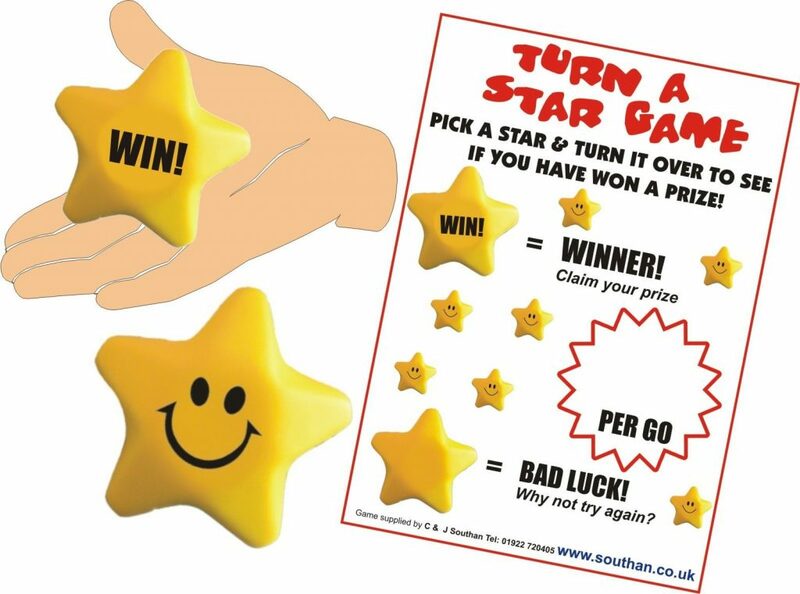 Nice simple fundraiser, ideal for young children to win a lolly, etc. This game requires a table.